The nearest Rolls Royce dealer to 700 Johnny Cash Parkway seems to be in Atlanta, Georgia at 262 miles. Who was qualified to maintain this car in Hendersonville, TN? 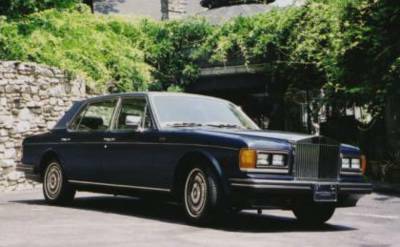 June bought this Rolls in 1989 with 11,694 miles. Over the next 15 years, she added a paltry 15,000 miles on 'short trips around town.' Along with everything from Johnny Cash frequent flyer membership cards to Nudie suits, this car will be auctioned at Sotheby's. If you buy this car, please take me for a ride.